To drive and track the performance of individual teams. 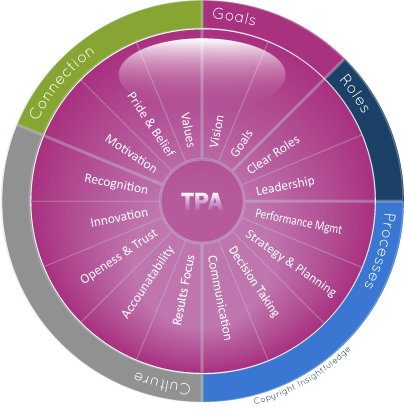 The Team Performance Accelerator helps leaders to identify the strengths and weaknesses of their team’s climate and develop clear actions to further improve the performance of the team. Most often used by operational and management teams to create a snapshot of current climate. The tool helps teams to focus on the key issues they face, identify root causes, target areas for development and track progress towards their goals. This version of the Performance Accelerator with just 16 elements is easily grasped and used by leaders and internal facilitators alike.